This 75 min class is a prerequisite for all new and inexperienced clients. In this session your instructor will go through the 5 basic principles of Pilates. This will include proper breathing techniques to assist your movements, how to activate your core muscles properly, awareness of proper alignment and learning mind to muscle connection while you move. We will show you how to adjust the machines and give you your own personal setting that you will use each class. We will then guide you through some basic exercises so you can apply everything you learned. After this session you will be ready to enter a regular class. A challenging workout targeting all muscle groups! 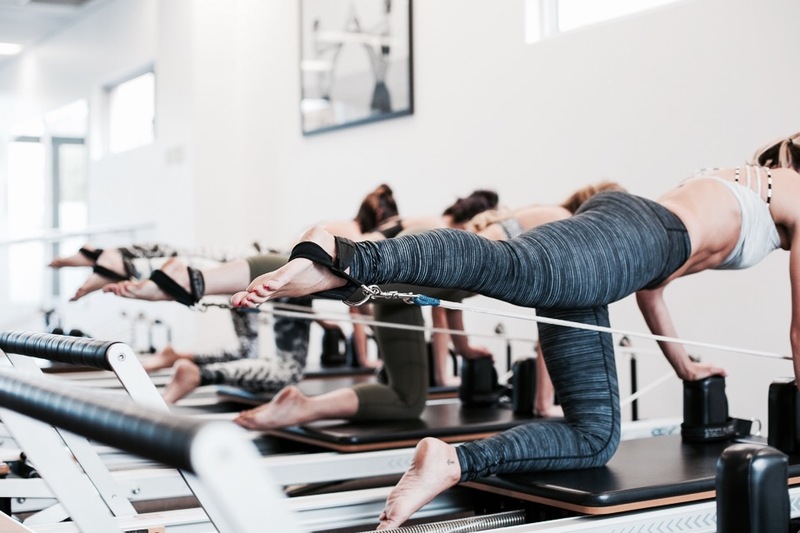 Work against spring resistance to sculpt your muscles while improving posture, flexibility and mind-body connection. Develop core strength and move your spine and body in all ranges of functional movement. Establish the foundation you need for your everyday health and fitness. Take it down where it all began with a flowing Pilates session done on the mat. Move from exercise to exercise working through the whole body. Think no equipment means easier workout? Think again! With nothing to rely on except the strength and control of your own body, you will tone and lengthen from head to toe. Build and understand body awareness and stabilization that you will use on the mat and beyond. Do you want to get your heart rate pumping? If your looking for something a little faster paced you will love this upbeat fun filled class that is all choreographed to music. 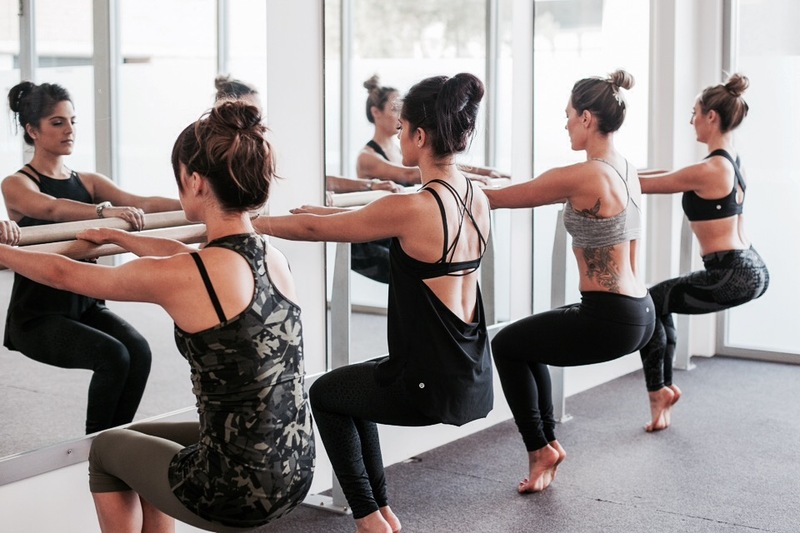 Barre is workout split between standing at the ballet barre and down on the mat. The positions and movements are basic and functional; it’s how deep you work in them that make’s the difference. We are constantly changing our music and moves to keep each class fresh and challenging. Each class is designed to be effective for people at all levels of experience and fitness. Get your heart rate pumping in this Cardio Reformer class. 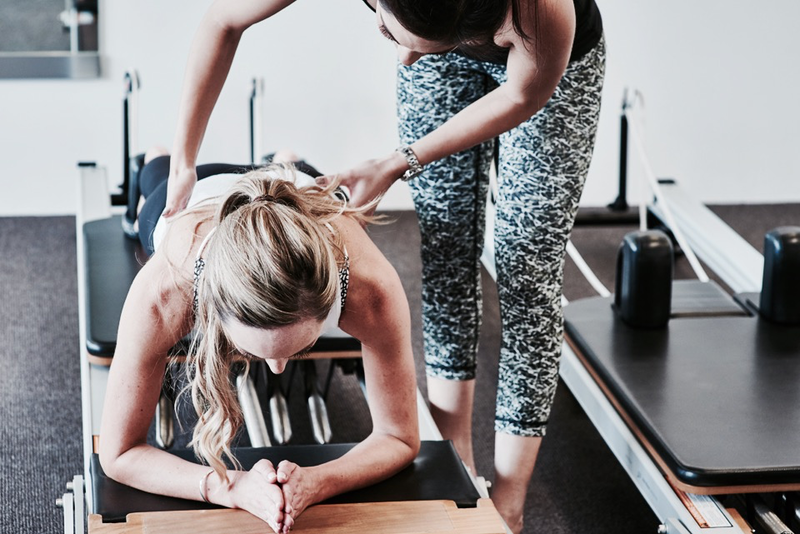 This class will move at a faster pace than your regular reformer session. We will use the Jump-board and other props to intensify each exercise so we get into different levels of your heart rate zones. This is a full body-sculpting workout that will have you sweating, strengthening, and feeling the burn you oh so LOVE! Yin is a deeply meditative and therapeutic class which enables one to experience their body as an integrated whole. This practice focuses on softening and surrendering to gravity. 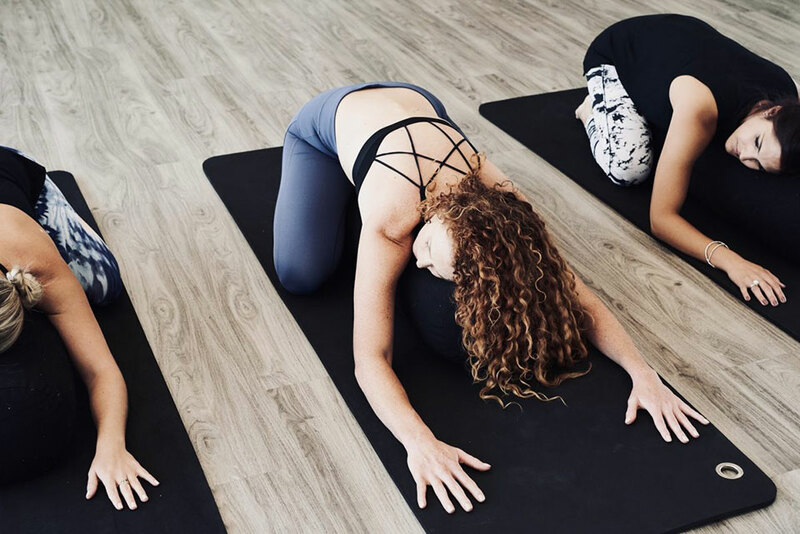 Floor postures are held for longer periods of time (2-5 minutes) in an effort to target the fascia and connective tissue allowing deeper opening of the body. Physically, Yin Yoga maintains and restores the natural mobility of the joints. Energetically, Yin opens the body’s meridian system, which enhances the body’s energetic flow and supports emotional balance, calmness and quiet in the mind. Yin Yoga intends to help you feel where the flow of energy is limited and to move you in ways that can get things flowing again. Yin Yoga is great for all levels and is a complementary practice to the more dynamic and invigorating yoga styles. It’s the perfect class to de-stress and nurture your body, mind and soul. 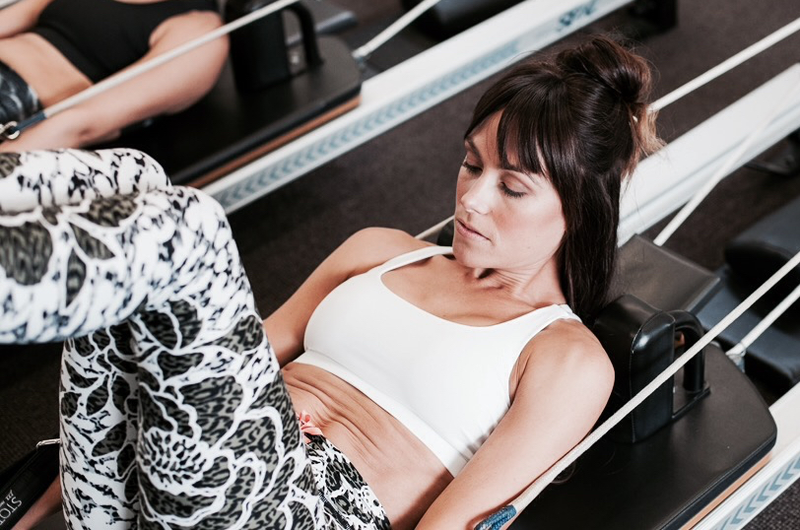 Are you interested in Pilates and not sure where to start? Do you have a ongoing injury? Do you feel a group class overwhelming? Or would you like a personalized program to suit your bodies needs to accelerate your specific health goals? Each private Pilates session will begin with a full posture analysis and an in depth explanation of the Pilates principles. We will address any injuries and health goals to help us create your customized program. Private sessions are suitable for all levels. These sessions are a great way to master your practice and gain the best results with personalized attention. Our Pre/Post natal classes are for the soon-to-be Pilates mamma or the (already) Pilates mamma. Pilates is one of the most highly recommended forms of exercise during the course of your pregnancy. It’s also a fantastic, safe and effective way to get your post-baby bod back. If you suffer from diastasis recti or generally feel you’re struggling to get back after it, we’ve got your back. Our highly certified teachers will take you through exercises that will safely strengthen and tone your muscles, making you feel great, look great and have even more of a glow. Mums & Bubs classes are a great way to get the body back into shape and meet the needs of new mums. 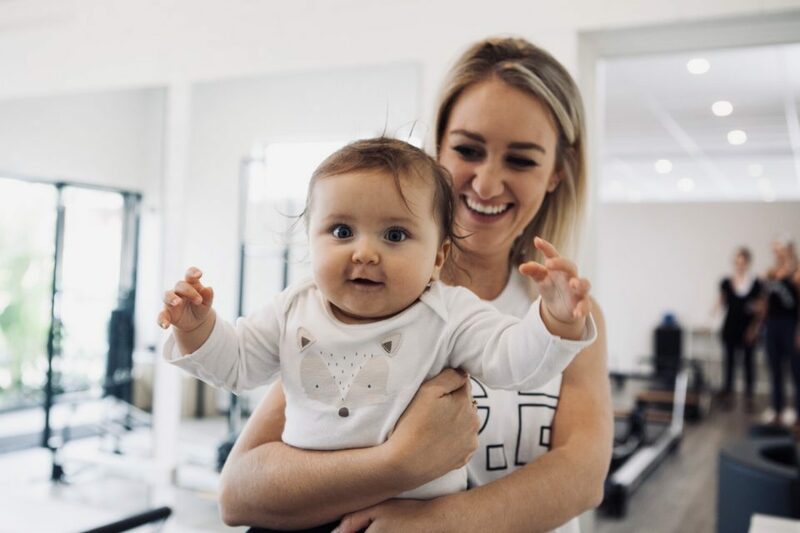 These classes will help you to regain your muscle memory to your core as well as strengthen and mobilise the rest of the body because after giving birth to your little one abdominal muscles and pelvic floor muscles are stretched and weakened, you can also start to feel tightness and stress in the body from breastfeeding and constantly carrying your little one around. We will work through all these changes your body has gone through. You may come on your own or your baby can come with you and they can chill out close by while you do your workout! Note : These classes are for clients with bubs that are not yet highly mobile. Prams and rugs are welcome. If you are new to our studio or to Pilates please attend 1x Intro to Pilates class first before you start these sessions.